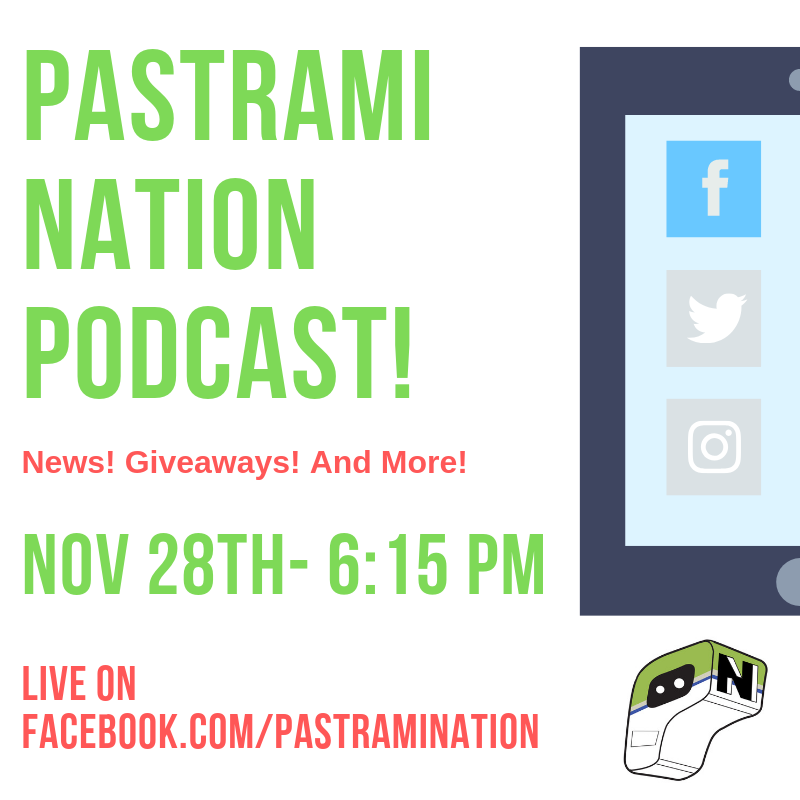 It’s time once again for a live podcast for Pastrami Nation! Join us on November 28th at 6:15 p.m. as we broadcast live from Linebreakers in Victorville, CA ! The podcast will be live on Facebook (www.facebook.com/pastramination). Make sure to watch live as we discuss the art form of comic books, spinning from the controversial comments made by Bill Maher regarding Stan Lee. We will also be talking to a few guests about Dungeons & Dragons! Pastrami Nation is not too familiar with D&D, so this is sure to be a blast! Also, we will once again have AWESOME giveaways! Make sure to tune in this Wednesday!